Whether it’s roofing new construction work or simple repair, how well you communicate with your roofing contractor will determine how well the project will go. So, it’s not a surprise when we say that good communication between you and your contractor really matters if you want your roofing project to succeed. 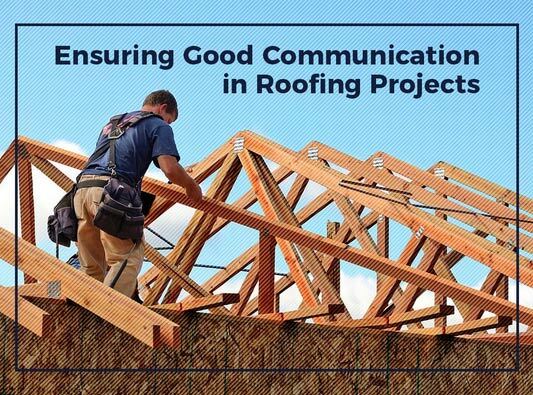 Ritco, Inc. discusses how you can ensure good communication in your roofing endeavors. To ensure good communication between you and your roofing contractor, stay in touch every day of the project schedule. Informing your contractor in the morning to let them know that you’ll be at work, for example, is enough to keep things on schedule. Set up a day and time for a weekly meeting, especially if you’re doing new construction. These meetings are crucial to discuss the current progress of the project. It’s also your platform to express any concerns or changes you might want to make as the project progresses. Job-site notebooks are handy little things you can use to effectively communicate your concerns or even ask questions while you’re away. The great thing about this little piece of documentation is that it also serves as a legal document in the event you need to review the status of your project. Finally, collect the cell phone numbers of the people who will be serving as your direct contact throughout the project. This way, you can contact them any time in case you need to update them or ask them something. Ritco, Inc. is one of your trusted local roofing companies. Give us a call at (931) 381-0175 for a free estimate. We offer new construction services throughout Columbia, Brentwood and Franklin, TN.